Catalogue retailers, like LL Bean in Maine, have very high conversion rates (the number of shoppers that purchase). It makes sense that after all the money and effort spent to market their customers, online and in their catalogues, they continually want to increase these rates. The two main ways they do this is by personalization and reducing the friction to purchase. On the web, they gather data to identify their visitors and present personalized offers and products based on their browsing history and other demographic information including their previous purchasing behavior. LL Bean takes this a step further with their call center, which, similarly, allows their customer support specialists to instantly have a vast amount of information on the customer calling in, even providing recommendations for products and offers specifically tailored to that customer. The key to this whole strategy is that purchasing is an emotional impulse and when a potential customer decides to purchase, you need to take advantage of that and make it as easy and as personalized as possible. Small businesses are failing at this miserably. The number of very small businesses (less than 5 employees) is increasing like a tidal wave. Numbering less than 20 million in the 1990’s, they now are 1/3 of the US workforce (45 million) and are predicted to be 75 million (half the US workforce) by 2020. Incredible data from Digitalscape shows 60% of these businesses do not have their telephone number on their home page. Other data from a study conducted by Rentlinx shows that when a call comes to these small businesses, less than 50% reach a live person. And numerous studies show that 80% of callers that end up in voicemail just hang up, especially when they are looking for a local service. They just move on to the next small business on their Google search first page and call them. Personalization at the small business level, especially local small businesses, means having a live person answer when someone calls. 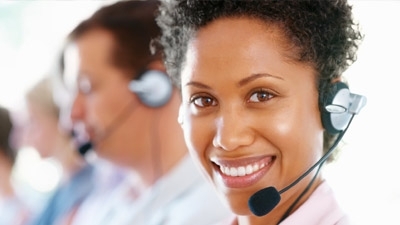 Answering service companies, which have failed miserably in the past, mostly due to technology limitations, are now poised to provide small businesses the added advantage they need in an ever increasingly competitive environment. New cloud-based live answering services can know immediately if the business owner being called is available to receive a transferred call, and if so, transfer it with one click. This is critical, as the small business owner is the most qualified to close that lead immediately. If he or she is not available, these new small business answering services can nurture the potential customer by providing answers to frequently asked questions, sending the customer electronic literature on the business, and by getting their name, phone number, and email address and forwarding it to the small business owner via email, text message, or even a mobile app. Voicemail, considered a necessary technology for very small businesses since the ’80s, is just now being recognized by many of them as a liability. We are on the edge of a tipping point that is being created by the increased competition as a result of a massive transition in the US workforce. Often just such secular shifts stimulate the emergence of new technologies such as the cloud-based answering services with mobile apps that we are seeing entering the marketplace.